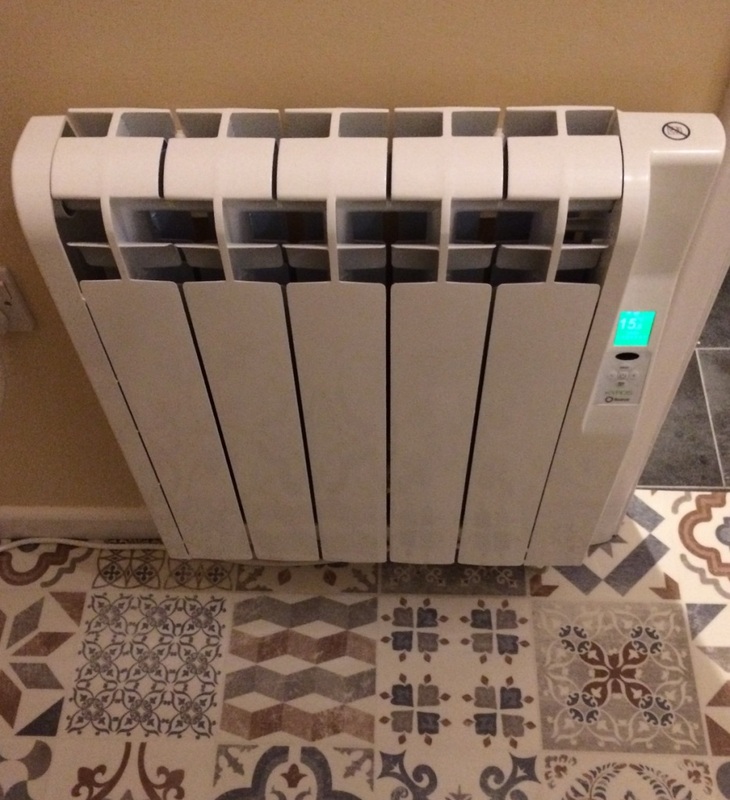 Technology has advanced and here is a remote control Rointe electric heater I recently fitted. These come in a range of sizes, are simple to use and are far more energy efficient, saving on the electricity bill, when compared to electric storage heaters. I also install storage heaters for customers who prefer these. 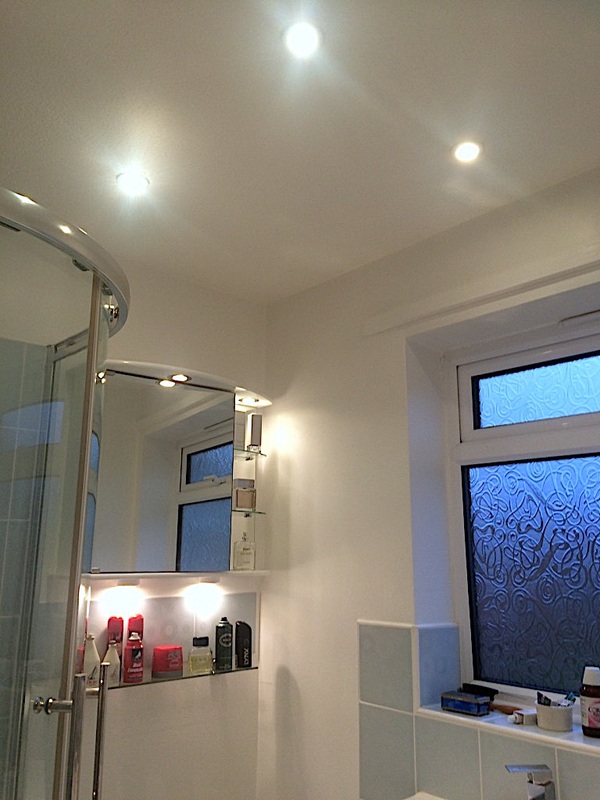 Installing a few bathroom lights improved the shower room for one customer and he was pleased with the work. 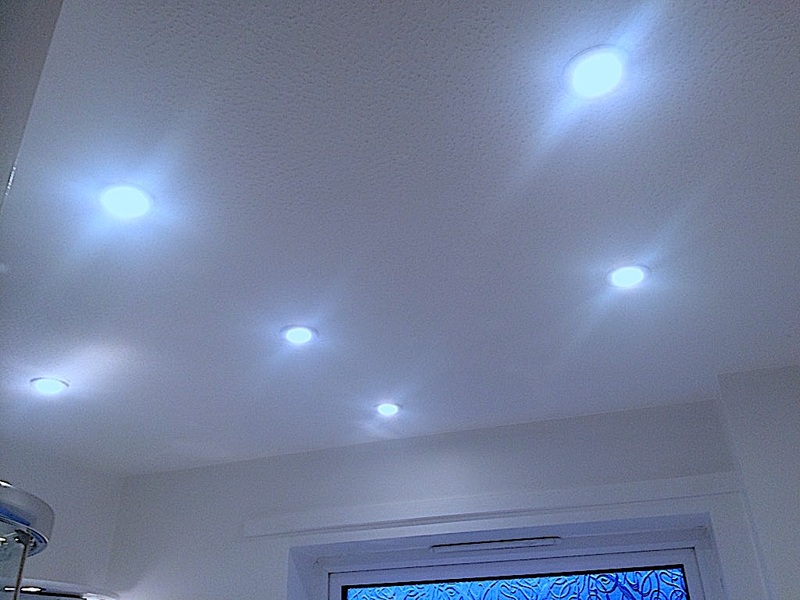 These are called Extra Low Voltage downlights. 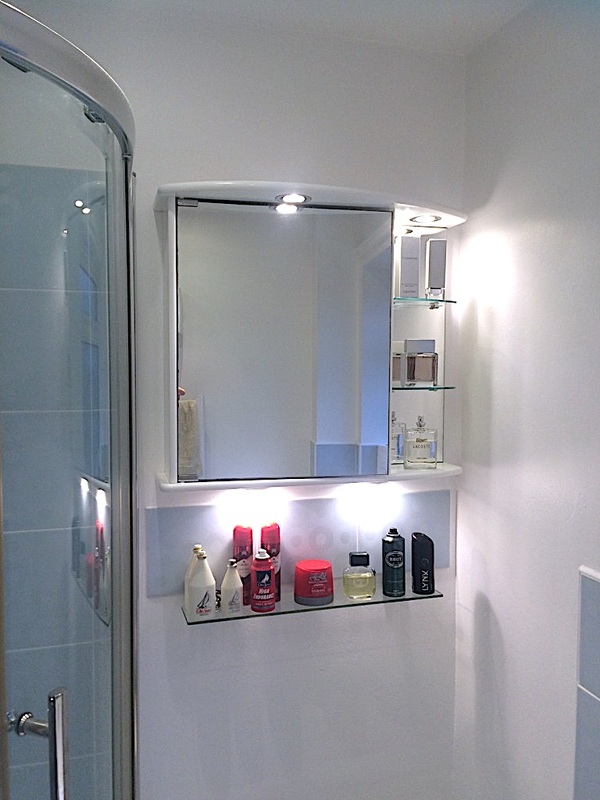 They can use either standard bulbs or LEDS, the LEDS that I used here are more efficient and save on electricity. 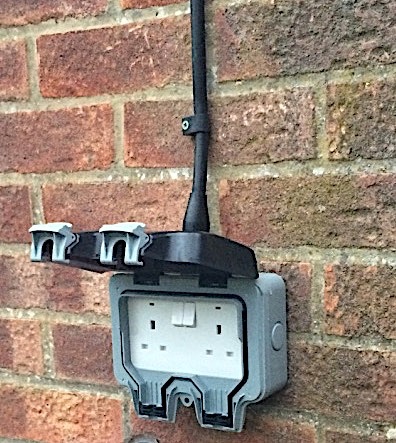 I recently installed this external double socket, which is IP65 rated and RCD protected for safety. Both the socket and armoured cable are fully weatherproof. A very handy addition to any garden. 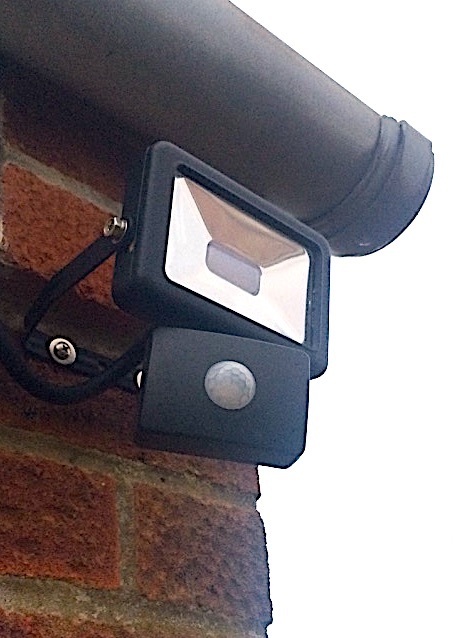 This weatherproof PIR security light uses a LED for very low energy usage. These use only a fraction of the electric than the equivalent halogen lights. 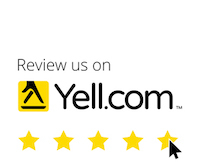 My customer was happy with the sensor range, which will detect any intruder up to around 10 metres. An effective addition to home security. 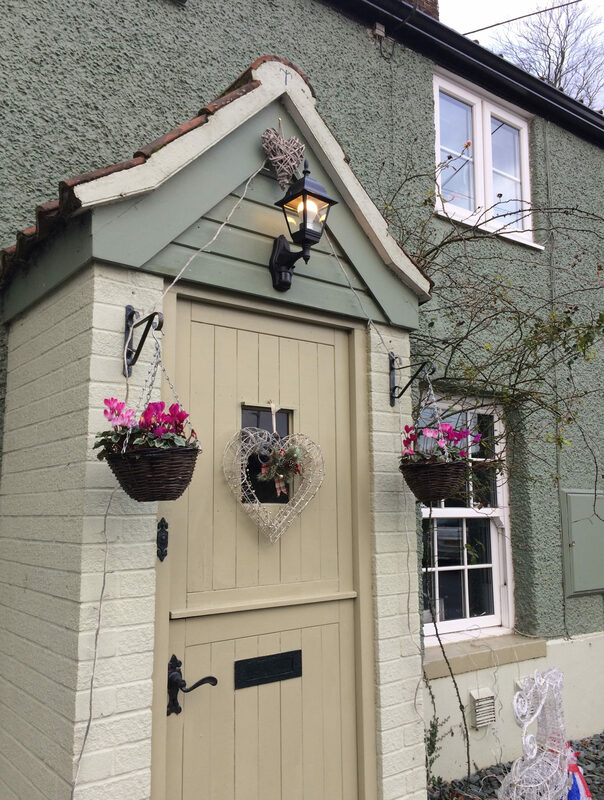 Weatherproof IP44 rated and fitted with an energy efficient LED bulb for added style to your home.